A recent move by William Hill has seen the operator make a cash offer to purchase the MRG Group. The brand operates some of the world’s leading online platforms, including Redbet and Mr Green. The €271 million offer separates itself into a total of 69 Swedish krona per share, summing up to SEK2,189 for all of them. 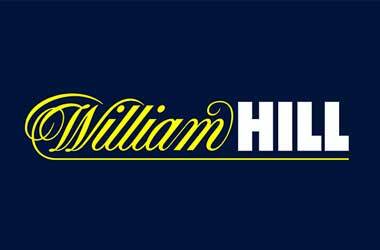 William Hill doesn’t currently have any shares in the MRG Group, but is now looking to claim the full collection. MRG will see itself with a one-month period in which it is able to accept the offer. This will run between December 10 and January 11 and, if shareholders agree to the deal, then the settlement should start around January 17, 2019. Speaking of the proposal, the CEO of William Hill, Philip Bowcock mentioned that it “accelerates the diversification of William Hill”. He said that the MRG Group would provide them with a base of operations in Malta and access to a wider international market, especially in Europe. The idea for William Hill is to place itself in a strong position within the continent and expand its online offerings at a faster rate. Should the acceptance period finish with a positive outcome for William Hill, the Chief Digital Officer of the company, Ulrik Bengtsson will take command of the MRG integration. He has previously spent time with Nordic online gaming businesses, most recently with the popular online site Betsson. MRG is an online-only business, which will assist in increasing William Hill’s share of both revenue and profits from the online world and outside of the United Kingdom. In the same statement from Mr Bowcock, he said that there aren’t any plans to make material changes to the employees and management of MRG. Of course, this has been said before any kind of deal has been accepted. Should the MRG Group choose to go ahead with the proposal, this could potentially change. Citigroup Global Markets has been retained by William Hill as its exclusive financial advisor and as its corporate broker. Meanwhile, Vinge is operating for the brand as its legal advisor. If all shareholders accept the deal and all regulatory approvals go without a hitch, brands like Mr Green will fall under the ownership of William Hill. The Mr Green platform has been in existence since 2008, and it has a big following of players, not only from the United Kingdom, but from other locations as well. In more recent years, the brand opened its own online sportsbook section, catering to a wider variety of gamblers.